“The tui, voted inaugural Bird of the Year in 2005, is highly adaptive, has a distinctive call, is protective of its domain, and is an imitator of song and speech. As common in exotic nectar-bearing trees and shrubs as it is in indigenous vegetation, the tui is an enduring example of survival and adaptability. Bill Bennett’s extended essay on rural ministry reflects on its long evolution in England and New Zealand, current challenges within the present context, and continuing viability for the future in Aotearoa New Zealand. My first contact with Bill and Wendy Bennett was at a rural ministry conference held at Waerenga-a-Hika near Gisborne in 1979 when he was vicar of the newly amalgamated Waipaoa parish. I was a lay person, new within adult involvement in my local predominantly-parish, one of the first in the diocese to not have a vicar, and not even sure now how I even came to be there. This was early days in the ‘movement’, and the first time I had heard of the notion of rural ministry being a distinctive sector of the mission of the Church. These were in the optimistic days before Rogernomics, large-scale forestry plantings, farm amalgamation and rural depopulation, the large-scale amalgamation of parishes or Local Shared Ministry, and an increasingly secular and indifferent society, although if we had looked the warning signs were all there. The Treaty of Waitangi was something in the historical past for many Pākehā New Zealanders, and te reo Māori was mostly spoken on the marae and decreasingly in a few homes, and certainly not heard in the mainstream media. The Bishop of Aotearoa was suffragan to the Bishop of Waiapu, and the notion of a three Tikanga Church was more than a decade away. 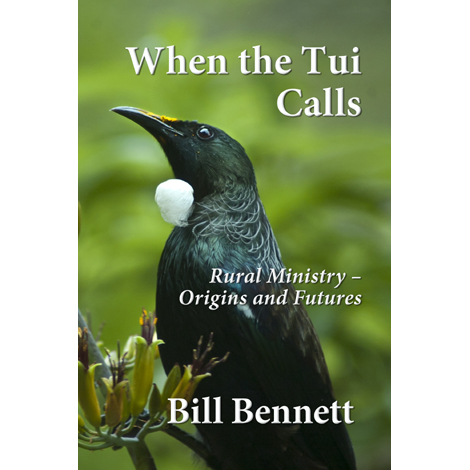 Although Bill’s study mostly concerns ministry to and by Pākehā, he sets this within the context of our rich missionary history, the Land Wars of the 1860s, and twentieth century developments such as growing Māori aspirations in Church and society. 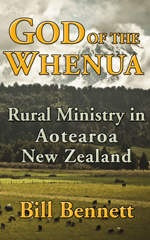 He traces the developments of minitā-a-iwi in this diocese and beyond, and the revised constitution of 1992, with a resultant ‘re-framing’ of the Church of the Province of New Zealand to become the Anglican Church in Aotearoa, New Zealand and Polynesia. Maintaining identity as a rural community and Church. Offering theological college students short residential stays to help them understand time-work seasonal relationships, and how rural people view life and society. 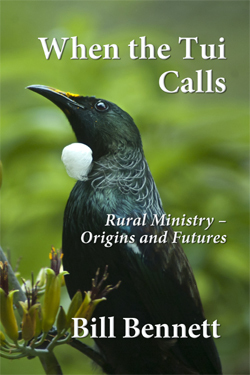 This essay on rural ministry reflects on its long evolution, its current challenges, and its continuing viability for the future in Aotearoa New Zealand. The Tui (Parson Bird), with its tuft of white feathers at the neck, is highly adaptive, has a distinctive call, is protective of its domain, is an imitator of song and speech and is an enduring example of survival and adaptability. Offering theological college students short residential stays to help them understand time-work-seasonality relationships, and how rural people view life and society. I am a ‘townie,’ born and bred. Living on the southern edge of Auckland City I wasn’t a total stranger to the rural aspect of life as child, but to say I had any real insight into rural life growing up would be a misnomer. My associations with rural communities began in earnest when I met my wife, Raewyn, who had grown up on a dairy farm in the heart of the Waikato. It was through getting to know and love Raewyn’s family and their community that I started to gain an insight into the realities of rural life. A whole new world opened up to me beyond the romanticism that I think most New Zealand townies have of the rural world that is wrapped up in images of Red Band gumboots, roaring fires in a cosy farm house and well behaved stock grazing quietly on pastures of lush green grass. It’s a nice image to hold as you drive through a farming community, but hardly reflects the reality of rural life. What is hidden from the surface is the struggle to keep a business afloat through changing circumstances of environment, politics and economics. Associated with that struggle, are care and concern for your family and provision for family life, care for your employees and their families, and, importantly, the pressure to care for stock and keep production levels to an optimum position. Alongside this sit the real joys of a lifestyle that is deeply immersed and intertwined with the seasonal ebb and flow of creation. It has been my privilege through ministry in the Anglican Church as a priest and bishop in rural communities to be invited into farm houses and to share stories of life and faith over a morning cup of tea and freshly baked scones. In those conversations the realities of life have intersected with the profound insights of faith and of the beauty of God experienced in the midst of pastoral land. Bill Bennett knows this reality better than most through his extensive ministry as a priest within rural communities. The work you have in your hands is an invaluable insight into the roles that faith and Christian ministry offer to rural life, born not only out of Bill’s experience, but also with the depth of the history of the life of the Church in word and sacrament. Bill provides the Church today with a pathway back into our history that will help us to identify the roots of our ministry in rural life that enables us to navigate our present and near future. As life continues to change for parishes and faith communities in rural areas, we are blessed by the insights and reflections of this most faithful priest who has been deeply immersed in rural life, with a profound faith in God and desire to speak that faith in a meaningful and relevant way. 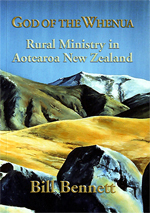 I commend this work to all who minister in rural areas, both lay and ordained, as you seek to proclaim the joy, grace, hope and love of the resurrection of our Lord Jesus Christ amidst the communities that are shaped by pastures, vineyards and forests of Aotearoa/New Zealand. 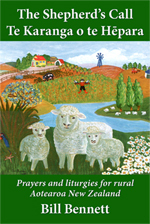 Bennett highlights some key issues and opportunities for rural ministry today. 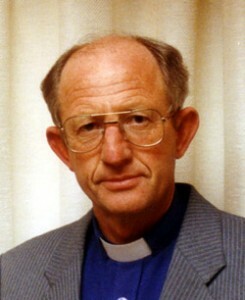 He is on the Editorial Board of the international periodical, Rural Theology. Till its demise recently he was tutor in Rural Ministry Studies for the Ecumenical Institute for Distance Theological Studies (EIDTS). He and his wife Wendy live in retirement in Napier, New Zealand. 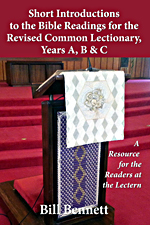 Short Introductions to the Bible Readings for the Revised Common Lectionary, Years A, B & C: A Resource for the Readers at the Lectern. Would you like a simple, quick way to engage with the RCL Old Testament, Epistle and Gospel readings for each Sunday and other important days in the church calendar? Bill Bennett’s short introductions to each Bible reading will get you started. 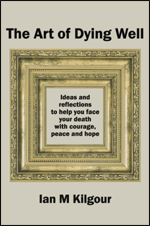 117 prayers arranged into broad themes: the seasons, environment, community, mission and ministry, work, crisis and loss. Also includes 6 Eucharist and 5 general liturgies. Christian ministry, Christian life, Christian faith, Christian spirituality, rural ministry, New Zealand, Aotearoa, church history, Christian leaders and leadership.